If you're in between sizes, we recommend ordering up so the buttons remain closed. 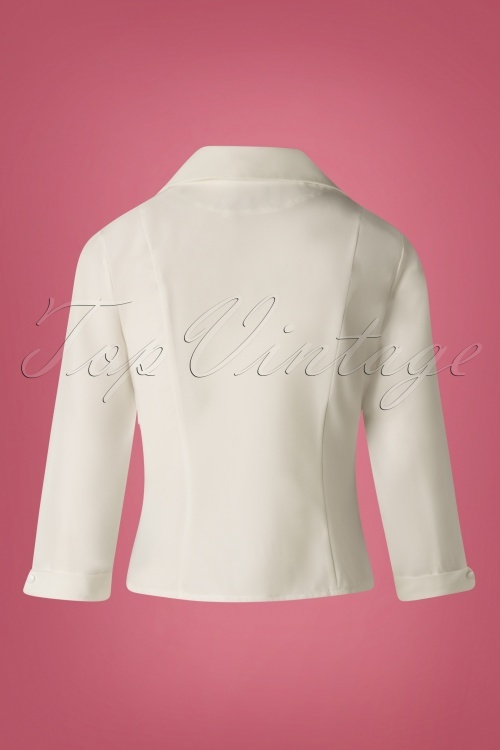 Go for a classy look with this 50s Janine Blouse in Off White! 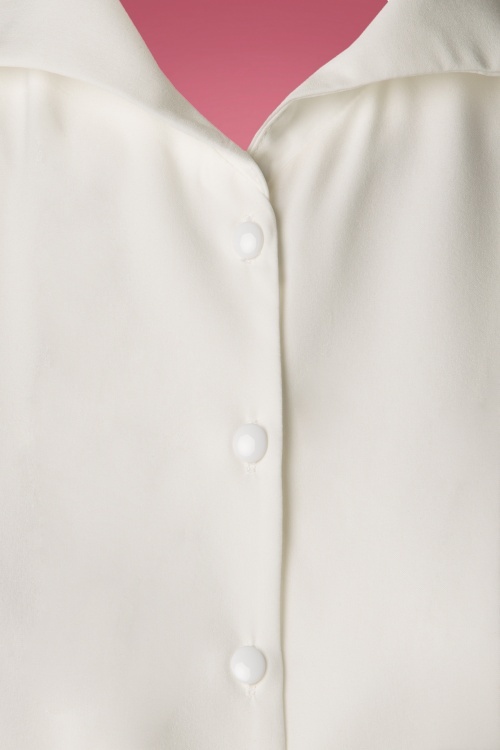 She features a subtle V-neckline, pointy collar, 3/4 sleeves and a row of buttons at the front. 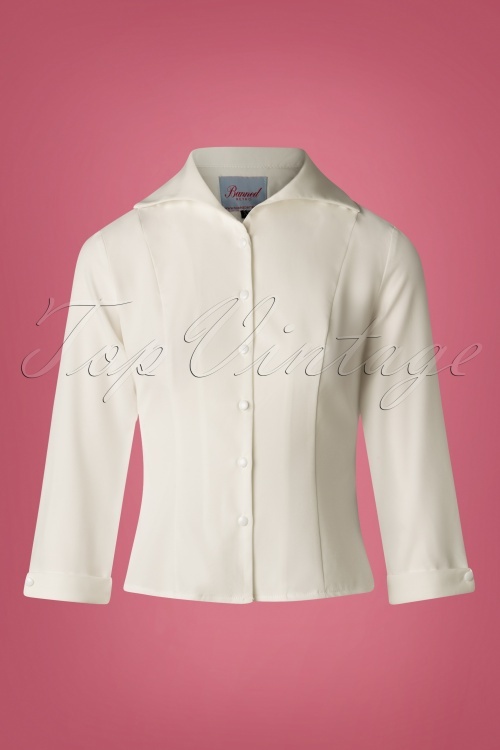 Made from a supple, smooth, ivory white fabric (doesn't stretch) for a lovely fit. Janine is a true wardrobe essential! I've been looking for this type of blouses for a long time and was so happy to find them in an affordable price in my favorite store :) Sizing was good and the fabric is nice. I feel very elegant wearing these! 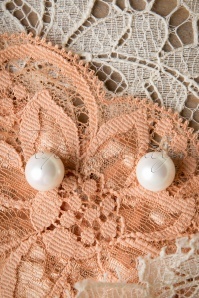 There were a few threads hanging around, but besides that, I found the quality to be just fine, given the low price!